Welcome to CM16 2.0. The fact that it is not possible to patch FIFA 17 convinced me to upgrade the CM16 adding some new feature. The most important is the ability to connect to transfer market web site and import teams and players form the web. Another relevant new feature is the possibility to edit many images and icons used in the user interface menu, so you can give to FIFA 16 a pretty new look. Several other features have been added to make the editing process simpler and faster. Enjoy! Added a control for setting the league prestige, this data will be recorded in the file “international.txt” and is necessary for getting a job offer from that league. If you create a new league, select the value using as an example a league existing in the original database. The key . (dot) will change the color of the name, this is useful for marking a player during an editing session. This information is not saved in the database and is lost when you exit CM16. In this page you can change the images used at startup, in the menu or the icons. The imported image must have the same size of the original image but not for the icons. All the imported cons must be 256 x 256 pixels. The icon for importing the data will become active, clicking the icon a dialogue box similar to the one for importing a CMP patch will be shown. Information imported include: name, birth date, country, contract duration, joining date, position, jersey number. 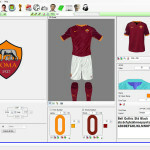 New players are created assigning an overall that depends from the market value and the age (plus a small amount of randomization) and the player appearance is generated randomly. It is now possible to update your database using an online database of FIFA 17. The Tools menu contains some actions that you can do for improving your database. Teams with missed formation or two formations. Inconsistencies between formation and teamplayer table. Team with missed name, or missed stadium. Players with appearance problems or missed shoes. For people who loves work with excel it is possible to export a CSV file with all the rosters, edit it manually in Excel and then import back data. One of the biggest limitation of FIFA 16 is the fact that the playernames table may have only 29000 entries. In order to limit the number of names some riles are applied depending form the nationality of the player. This menu will compact the size of the playernames table so it has no holes. The original database contains many fake players (typically for filling Brazilian teams). This menu will remove them from the database. 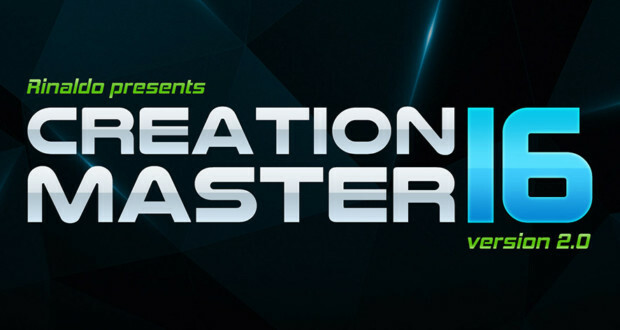 The good, old Creation Master is back this year as well! I have not a lot of free time so this year I am quite late. I also had to close the fifa master web site because I have no time to maintain it, now my tools will be hosted here at this page on FIFA-Infinity.com! WARNING! – Editing FIFA 16 could damage your installation of FIFA 16. It is strongly recommended that you make back-up of your FIFA 16 files before to start editing. The National Team cannot be selected from the Country Page but you can do it from the Team Page. In this way you can mark as a National Team both a male and a female team. In the Country Page it is shown the male National Team only. Each team must have its own formation. A team cannot use a generic formation. 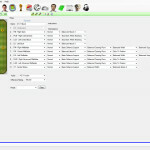 When a new team is created the current team is used for presenting some data and, if the players are created, a roster with “similar players” is generated. Where similar player means a player with same age, role and nationality but a different look. Set the goal net when the team plays at home. these features are available in game only if the RevMod patch is installed. In CM 16 it is possible to set the Gender (male or female) and the “emotion” of the player. Generic face system is completely different, generic textures cannot be modified. CM16 creates dynamically the face texture combining skin and facial hair for rendering in 3D. A Fast Hair Selection button allows to quickly choose the hair type. FIFA 16 supports specific tattoos for players. Stadiums have only day and night versions (no sunset nor distinction between clear and overcast days). FIFA 16 supports 9 different types of weather and the probability can be set for each Country. Can be specified the audio. For CM 16 the expansion of the database allows to have up to 2048 formations (instead of 1000) and up to 65536 player names (instead of 32000). Can CM16 open XBOX files ? CM 16 is for editing PC version, XBOX is not supported. When using CM16 I cannot see players or team previously modified with FIFA 16 internal editor. Why? Editing with CM 16 and in-game editing are incompatible. This is not a bug, it is the way FIFA 16 works. When you start to edit with CM16 you should remove squad files from the folder Document\FIFA 16. You can make in-game editing on a version of FIFA modified with CM16 but, if you use CM16 again, you are going to lose all your in-game editing. Can I import files from previous FIFA versions, like head models or textures ? Some Rx3 files have a different format like for example head models and cannot be reused. Other like for example kit textures are different but still compatible. I change the order of the bench players and save but, when I reopen, the order is not saved. In the database all the bench players have the same description, there is no way to discriminate the order in the bench. Some boots and some balls do not have a name but appear as a generic Shoes n. X or Ball n. Y. Those are shoes (or balls) present in the game but not described by a string in the language database. You can add it. Why can I only work with the default squads and not the updated ones? CM modifies the default database of FIFA so every time you create your own squad file or download a squad update from EA, the game will use it instead of the default database and you cannot see your changes in game. Which files I need to backup for my edited data to remain? Creation Master 16 (CM16) is freeware and is provided ‘as-is’, without any expressed or implied warranty. In no event will the author(s) be held liable for any damages arising from the use of this software. Special thanks to Malloc84 for finding the EASF decryption algorithm, gregkwaste for providing the LZMA decompression program and to Scouser09 for developing the RevMod patch that, this year, is supported by CM16. A player skill set to 99 could not be displayed without the numeric value. Skill Moves range changed to 1-5 (instead of 0-4) so it fits the number of stars. Fixed a bug that removed from the database the colors of generic shoes. Fixed a bug that removed the Shop Package from shoes, this caused a crash, for example, when creating a player. The shoes that are in a Shop Package can be used for in game editing only if the package is purchased. Fixed a bug, introduced in Beta 3, causing CM crash when loading the face texture of a newly created player. Importing face technique from FIFA 15 was set back to Beta 2 method that has a better success rate compared to Beta 3 method (eyes positioning problem is fixed). The Country of some the teams that play in a League with a different Country (e.g. Canada, Wales, ..) is now preserved. Corrected the overall computation formula. Eyes of 3D Head model imported from FIFA 15 models are now positioned properly. Added the stadium preview picture for overcast and sunset. Face textures Normal Map are shown when present and can be replaced. Normal map is saved on R and G channel, blue and alpha channels are set to 255. Resolved a bug, in competition editing, that caused the entry “ClearLeagueStats” to appear more than one time for the same league. Avoid to open Big and Bh files with length equal to zero. Cloned Stadiums present day light even when playing at night time. It may happen that with a modified database you cannot play online. It is strongly recommended to backup the modded database and restore the original database if you want to play online. Be aware that, any change that you do the database is not actually available when playing online, even if you are using a modded database. In fact the game uses data from a downloaded database and the local database in your PC is used only as a reference for validating the structure of the downloaded database but not for using its data. Importing heads from FIFA 15 can produce heads that, in game, look bad even if the preview in CM16 is good. Bitmap two of face textures imported from FIFA 15 (black and white) should be manually replaced with a similar bitmap got from a FIFA 16 face (blue, yellow and white). Kit Link from Team Page: from the Team Page it is now possible to jump quickly to the kits. That looks very wrong. Are there even any players in that team!? I Imagine that there will be some bugs. Be patient, and hope for an update. I had to put home, away and GK kits, at least 20 player and regenerate BH , its solved, thx for try to help ! I understand that the creature master 18 also does not work for Fifa 18, the game seems to be on the same Frostbite engine. I understand that the Creation master 18 also does not work for Fifa 18, the game seems to be on the same Frostbite engine. did this, but where do i have to extract the files to? Nevermind I got it working! The export to CSV does not work. it’s not opening what to do ? not opening what to do ? 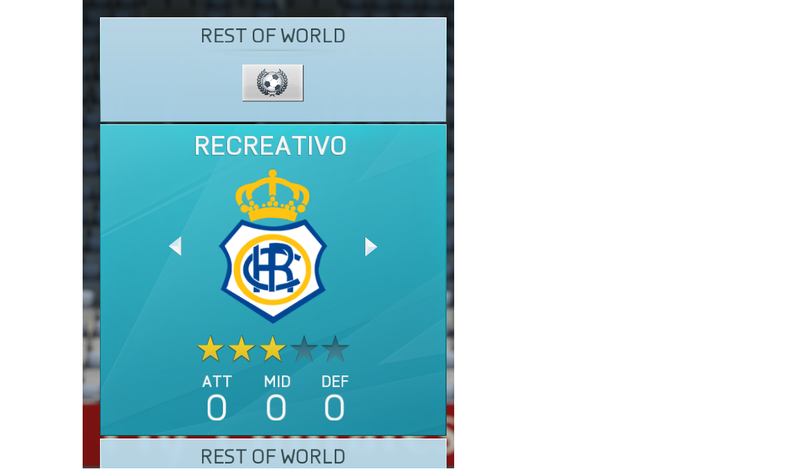 I create the team-patch.cmp from Fifa 15 and after i load this team-patch in FIFA 16 but in-game after select this team, the game crashes in the training-camp. How import from the Transfermarket?